Juniors and seniors joined thousands of other local students for a special matinee performance. 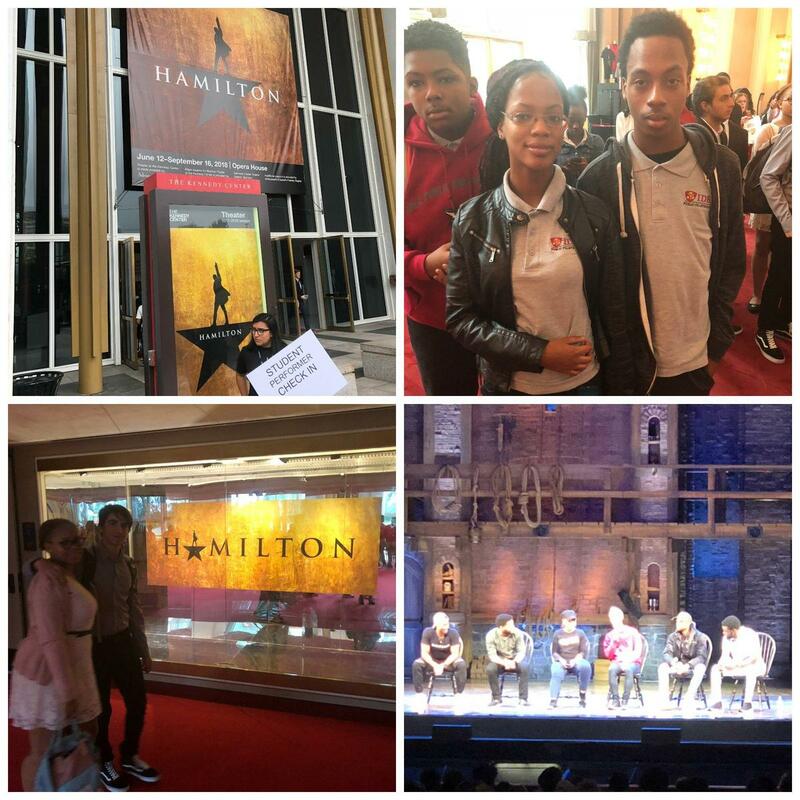 After weeks of studying American history through the lens of Lin-Manuel Miranda's riveting Hamilton, 121 IDEA juniors and seniors got to be in "the room where it happens" to see the amazing show at the Kennedy Center today. Cast members came onstage after the performance to answer questions from the audience. We are thankful to the Hamilton Education Program sponsored by the Gilder Lehrman Institute of American History for this unforgettable experience!